The City of Toronto in Ontario, Canada, just launched the Home Energy Loan Program (HELP) to serve as a new financing tool to help homeowners improve their home’s energy efficiency and save money. Ten million dollars in funding for the single-family residential program is available to support improvements such as upgrading to a high efficiency furnace, insulation upgrades, and energy efficiency windows and doors. Qualifying homeowners avoid the large upfront cost of home energy improvements and pay for them over time. Qualifying homeowners can apply for a low interest loan for energy efficient improvements, then pay back the City over time via installments on their property tax bill. You may pay off your HELP loan at any time, without penalty. You benefit from low interest rates and longer repayment terms, compared to conventional financing. Homeowners improve the energy efficiency of their homes, reduce energy consumption and cut costs. Equal access to financing regardless of homeowner income level, low fixed-interest rates and longer repayment terms of up to 15 years. HELP financing, aka Local Improvement Charge (LIC), is attached to the property, not to the property owner. If you sell the property before the loan is repaid, the new owner will assume the balance of the loan and continue to repay it through the property tax bill. Monetary incentives can be deducted from the total amount of your HELP loan. Incentives of up to $2,000 are available from Enbridge Gas, including a rebate to cover the cost of your home energy assessments. And an incentive of up to $650 is available from Toronto Hydro for replacing your furnace and air conditioner with high efficiency units. Toronto will achieve an 80 per cent reduction in greenhouse gas emissions from 1990 levels by 2050. Buildings, including homes, account for about 44 per cent of the greenhouse gas emissions. HELP is a pilot project, available in specific neighbourhoods in Toronto. you obtain written consent from your mortgage lender, if applicable. Please click here for more info on the Home Energy Loan Program and how to apply for HELP. The City of Toronto today announced the launch of a three-year pilot program called the Home Energy Loan Program (HELP). HELP is a new financing tool to help homeowners improve their home’s energy efficiency and save money. Through the program, qualifying homeowners can apply for a low interest loan for energy efficient improvements, then pay back the City over time via installments on their property tax bill. Ten million dollars in HELP funding is available to support improvements such as upgrading to a high efficiency furnace, insulation upgrades, and energy efficiency windows and doors. The City of Toronto established the HELP pilot as a part of its commitment to achieving an 80 per cent reduction in greenhouse gas emissions from 1990 levels by 2050. Buildings, including homes, account for about 44 per cent of the greenhouse gas emissions. HELP offers unique benefits in comparison to traditional financing that a homeowner might consider when making energy efficiency improvements, including equal access to financing regardless of homeowner income level, low fixed-interest rates and longer repayment terms of up to 15 years. And, because the LIC is attached to the property, not the owner, the financial obligation automatically transfers to successive owners upon sale of the property. A homeowner would voluntarily apply to the Home Energy Loan Program and enter into an agreement with the City to undertake qualifying energy efficiency and water conservation improvements. The City would then impose a Local Improvement Charge (LIC) equal to the cost of the improvements, plus interest and an administrative charge incurred by the City, on the participating property. The LIC appears as a surcharge on the property tax bill. Property owners make payments through the tax bill over an agreed term. The payment obligation attaches to the property, not the owner, and transfers automatically to successive owners. By leveraging its borrowing power, the City is offering qualifying homeowners fixed interest rates starting at 2.5 per cent with payment terms of up to 15 years. What is the Home Energy Loan Program? The Home Energy Loan Program (HELP) is a new financing tool offered by the City of Toronto to help residents improve their home energy efficiency and save money. The program was developed to assist homeowners to access low interest financing to complete energy and water efficiency improvement projects. Through HELP, the City will provide the funding required to complete the improvements and the homeowner will repay the City over time via installments on their property tax bill. HELP provides an alternative to traditional financing. A homeowner voluntarily applies to the City’s Program and enters into an agreement with the City to undertake qualifying energy efficiency and water conservation improvements. The City then imposes a bylaw equal to the cost of the improvements, plus interest and an administrative charge incurred by the City on the participating property. Payments to the City are then made over a period of up to 15 years as a special charge indicated on the property tax bill. 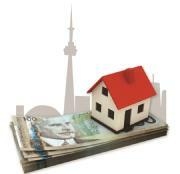 The payment obligation attaches to the property, not the owner, and is secured by the City’s priority lien status. If a property changes ownership, the new owner would assume the financial obligation and continue to make payments to the City until the special charge is fully paid. The Ontario Ministry of Municipal Affairs and Housing amended the Local Improvement Charge (LIC) regulation in October 2012, in such a way that now allows the City of Toronto to undertake capital works on individual private properties with the consent of the property owner (on a voluntary basis). The amendment expands the definition of capital works on private property to include energy efficiency, renewable energy and water conservation. The regulatory update paved the way for the City to introduce a new property-assessed financing program for property owners willing to invest in energy efficiency and water conservation improvements. In July 2013, Toronto City Council unanimously adopted Executive Committee Report EX 33.22 – Proposed Energy and Water Efficiency Initiative for the Residential Sector – a $20-million pilot program that uses the LIC mechanism to support improvements on private property. Ten million dollars of this funding is allocated to the single-family residential program which is called HELP, short for Home Energy Loan Program. Hi-RIS – High-rise Retrofit Improvement Support Program – uses the same LIC mechanism and is geared to multi-residential properties. Interest rates shown are valid until December 31, 2014 and may be subject to change thereafter. Homeowners must complete a home energy assessment in order to participate in the program. Only improvements recommended by a Certified Energy Advisor are eligible for funding. HELP forms and program details are available on the City of Toronto website at http://www.toronto.ca.